Free games: We have 10 Steam keys for zombie strategy game They Are Billions to give away! Who would have thought there was room for yet another zombie game to blow up on Steam? Not us. Yet, here we are, in 2018, with They Are Billions converting players by the second, much like its titular horde of infected. Now we are joining in by giving away ten Steam keys for the game – find out how you can win one below. 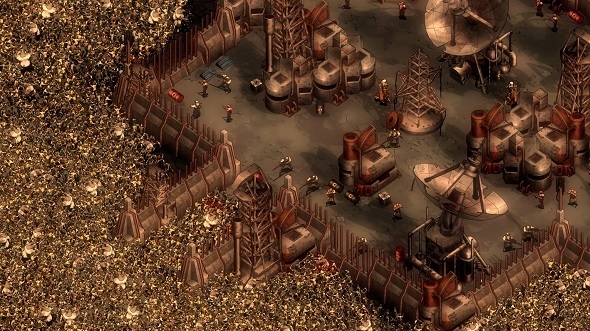 They Are Billions is a real-time strategy game set during the zombie apocalypse. The idea is to build and then defend colonies for the last handful of humans alive. Currently, only a fast-paced Survival mode is available in the Early Access version of the game, but a Campaign mode is on the way. As it’s set in a future version of the world during which steampunk has cultivated technology, you are able to buildTesla Towers, mills, and power plants to fuel your people. You armies comprise zany scientists, mech pilots, and armed infantry. You will need to get familiar with their personalities, needs, and strengths in order to beat back the hungry hordes. Right then, now you know what They Are Billions is, let’s get on to how you can win one of the Steam keys we have up for grabs. In short, all you need to do is enter the competition to win a key via the widget below. Every action you complete is worth one entry into the giveaway, and the more actions you complete the more chance you’ll have of winning. We’ll also need your email address so we can send you a code upon winning – we won’t send you spam, we promise.